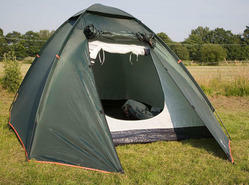 We sell tents for outdoor, mountaineering and base camps requirements. Camping Tents are arranged in the facility for additional accommodation based on the group size. Tarpaulins & Allied Products Manufacturing Co.
We have Camps & Tents for pitching in and around the beautiful locations of the resort. The Camps/Tents are spacious and securely pitched on well prepared ground. Facilities provided to ensure your stay in camps/tents is comfortable. To accommodate more guests and at the same time preserve the forest ecosystem’s balance we limit constructions and that’s one of the main reasons for providing Camping Tents. These tents can be fixed at different picturesque locations inside the farm. Matching up with the requirements of our clients, we are involved in offering Camping Tent. Also, we have Military Tents and Family camp tents. Available in wide range of designs, styles, sizes and shapes, our camping tents are high in quality and durability and are highly popular among our clients across the world. 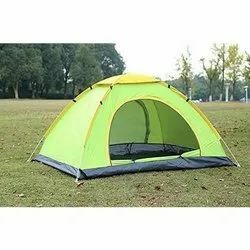 These camping tents and outdoor camping tents ensure a more enjoyable camping experience and provide a comfortable and trouble free accommodation.